I decided to create a comprehensive list of every way people today have used zip ties (gtet them here) that I can think of. In third world countries it seems to have become a basic building block in construction. Here in the states zip ties have become the widely used assistant with duct tape for the lazy man’s repair job. This is not about using ties for art…. That will be a WHOLE different post!! Let me know if I am missing something. Keeping your cheap Wal-mart hubcaps attached to your car. Attaching Christmas lights attached to your house, trees, bushes, or most anything at home. Keeping tomato plants upright in your garden, attached to their steel cage. Temporary child locks – ever had the grandkids down during Christmas and just needed certain cabinets locked up while they are in town? Cable ties can take of this quickly and cheaply. Broken toilet handle? Just open up the back of the toilet and fix that metal chain with some handy cable ties…..Great thing about this, nobody sees it. 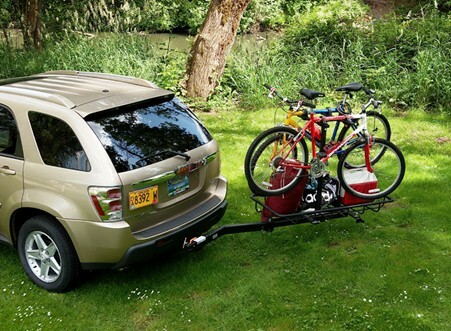 Transporting bicycles on the top or back of your car? Use zip ties to prevent the wheels from constantly spinning and assist your tie down straps with extra strength. Locking a safety handle on your push lawnmower so you don’t need your hands clutching it the whole time. Holding your audio, video, & power cables together behind your sound system and TV? Controlling that mess of cord behind your desktop computer and printer (of course with wifi printers the mess is less). They can used to seal LARGE helium balloons that are used for landscape photography. More to come….. each post I do will consist of 10 new uses for cable ties….. AND each post will get a little crazier with unique applications. When I am not teaching I am constantly learning. I spend my free time outdoors participating in the world around me. I enjoy crossfit, tennis, and horiculture. I am always looking for new ways to improve and evolve my diet and lifestyle in order to find even more joy in my life. This was not always how I lived my life. I used to be obese and depressed. I have had a strange journey of my own in which after hitting rock bottom I finally began the journey upward. Involved in the manifacturing of cable ties here in the US and believe we should bring more jobs back home. This entry was posted in Creative Uses and tagged 100 uses for cable ties, cable ties, creative cable tie uses, uses for cable ties, zip ties applications. Bookmark the permalink. Cable Ties used to keep Public Trasportation safe?